AKIPRESS.COM - The Philadelphia Orchestra's growing relationship with the government of Mongolia is set to intensify this month. In a prelude to the Philadelphia Orchestra's tour visit to the capital city of Ulaanbaatar in June 2017 announced earlier this year, the country's President Tsakhiagiin Elbegdorj will make a state visit to Philadelphia on September 23, reports Philly.com. The agenda includes receptions, an afternoon Philadelphia Orchestra concert, and an appearance at University of Pennsylvania's American Center for Mongolian Studies. "Mongolia feels that it's time to make a strong cultural statement, and I want that to be with the Philadelphia Orchestra," said Allison Vulgamore, President and CEO of the orchestra, who issued the invitation to Elbegdorj. She credits several congressmen with making letters of introduction and doing other things to help facilitate the visit. The Mongolian President has been a periodic U.S. visitor as part of the United Nations General Assembly, where he'll be prior to September 23. 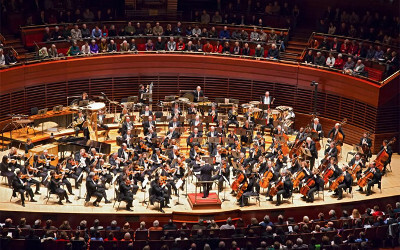 Philadelphia visits by such heads of state are uncommon, and even rarer is a state visit instigated by a cultural institution such as the Philadelphia Orchestra. In some ways, the Orchestra's relationship with Mongolia echoes its 1973 pioneering visit to China, which has evolved into annual residencies over the past several years. Mongolia already has its own musical institutions, suggesting that its relationship to western art is rather more evolved than China's was in 1973, which could create a ready foundation for regular Philadelphia Orchestra visits.